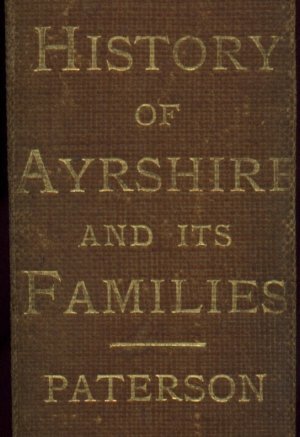 A few relevant chapters from a very interesting book about the history of Ayrshire and it's Families, dated 1852. The work the gentleman put into this book is invaluable, and judging by his comments in the preface, for no financial reward. Warning: The files are images/ graphics of each page and are around 500k each. The effect is authentic, giving the feel of reading the old book, complete with the old yellow coloured pages. Maybe as time allows they will also be transferred to smaller text files. The Mauchline and Muirkirk pages are optimised as transparent gif images, and are much smaller files. Thank you to The Boswell Museum Auchinleck for the scan of the book.